Property 6: Home Away From Home! Property 17: Room with a personal Washroom, Wi-Fi, Fully operational kitchen etc. Property 21: 3BHKApartment for Medical Tourism Near AIMS,Fortis at Chattarpur, New Delhi. Property 25: Our property is near by huda city center metro Station. The owners were very helpful and friendly. 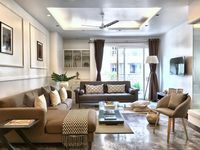 It's conveniently located in Ganesh Nagar near the Tilak Nagar subway stop on the blue line only a 25 minute ride to downtown core at Connaught Place. We were a group of 3 so it was a bit small but we adjusted well. Great for 2 people. Also only 30 to 40 minutes from the airport. The subway was a great way to visit the sites of Delhi.